The museum features exhibits from over 150 years of Brown County history - from the Native American band of Penateka Comanche and earliest Texan settlers to the WWII-era Camp Bowie military collection. Kids from all over Central Texas and beyond love the Children's Area and the miniature Birdsong Circus. After you've browsed the rich story of the Brown County community, you will enjoy a guided tour of the old jail across the street. With its epic architecture and fascinating interior, you will be transported in time to see glimpses of what life was like as a Brown County sheriff...or as an inmate! Ever heard the story of the German P.O.W. mural in Brownwood? World War II Camp Bowie also held a prisoner of war camp for captured German soldiers. They painted a 22 foot-long mural on a wall, showing a tank and American troops. When the war ended the Camp closed, the mural was covered by drywall, and forgotten for decades…It has been mostly out of sight for 75 years, but it’s moving to a new home at the Brown County Museum of History-- where this amazing piece of history can be seen! It’s a costly move! It will take $6,000 to move this huge but fragile World War II artifact and install it at the Museum. Help Us Move History Forward! Your donation will help bring the mural out for everyone to see, and preserve it for another generation. Your email is used for our newsletters only. We will never sell your information. 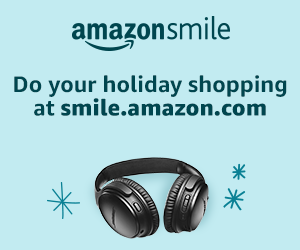 Shop for everyone on your gift list this holiday at smile.amazon.com and Amazon donates to Brown County Museum Of History Inc.